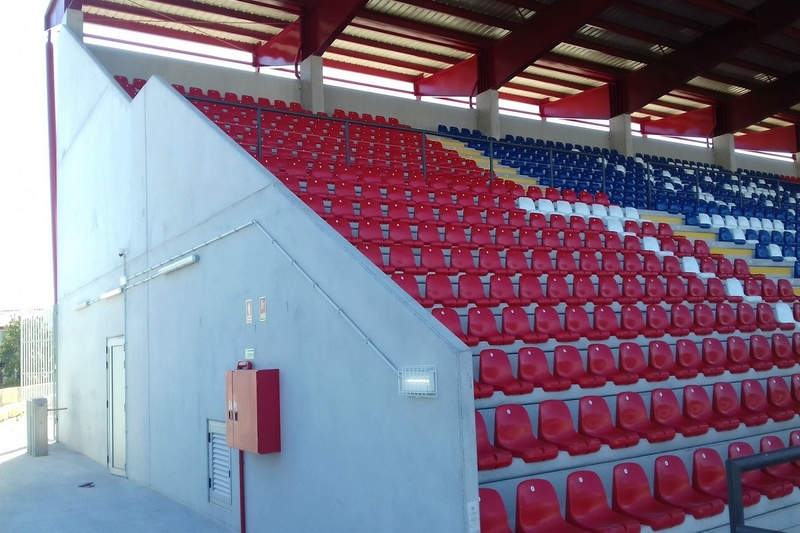 One more grandstand for a Portuguese First League club, with design and execution by the Farcimar Group, in the Eng.º Manuel Branco Teixeira Stadium for the Grupo Desportivo de Chaves. 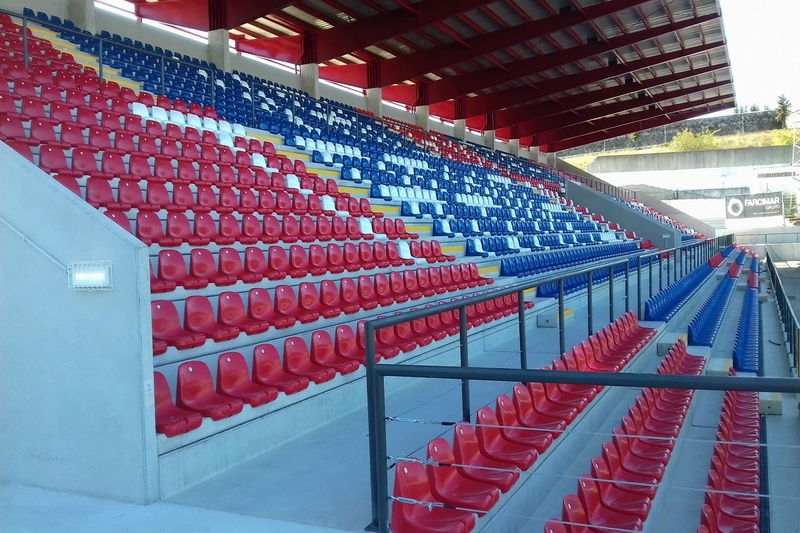 In a record time these grandstands were designed and executed, presenting again an high degree of performance in this expecialization area – Grandstand solutions. 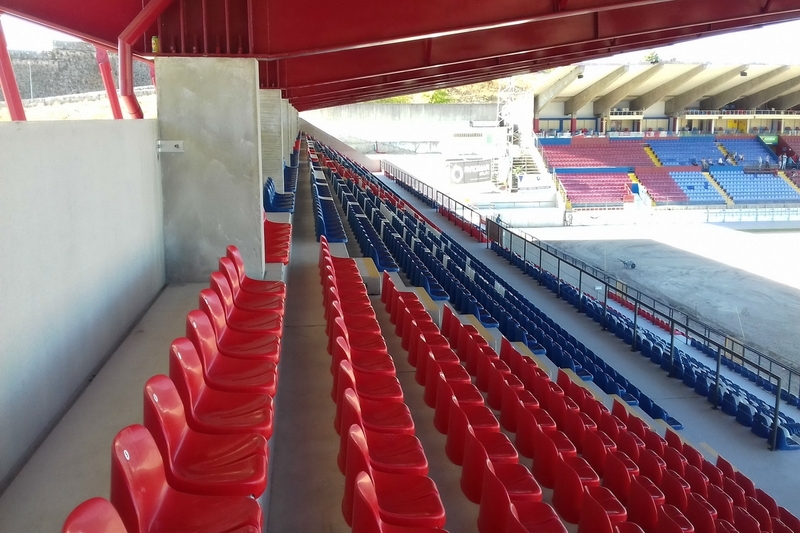 This project was born in the dream of the Grupo Desportivo de Chaves in renewing the infrastructures of this 68 years old stadium, with the increase of it’s capacity in more 3100 seated places. 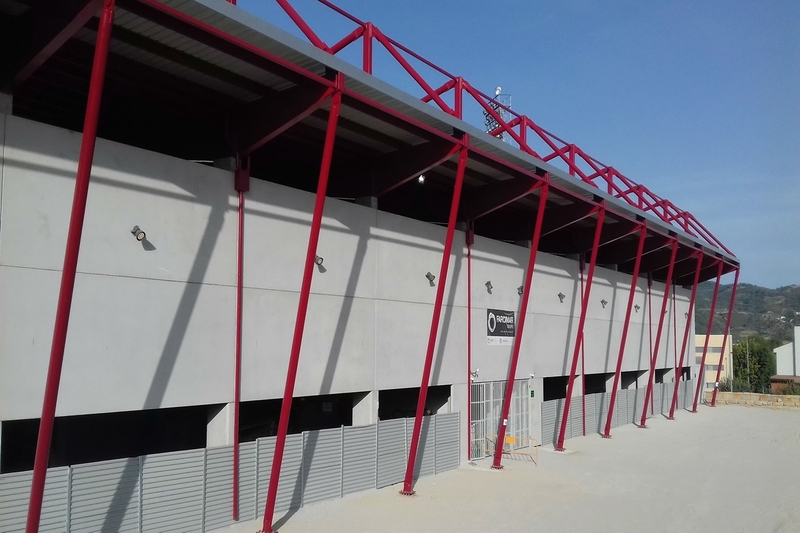 This solution bases in an association of columns, beams, hollow core slabs, grandstand beams, and metallic, tight to the ground, cover to improve is efficiency and minimise the front deflection. All the internal and periferical walls were made in precast concrete panels. 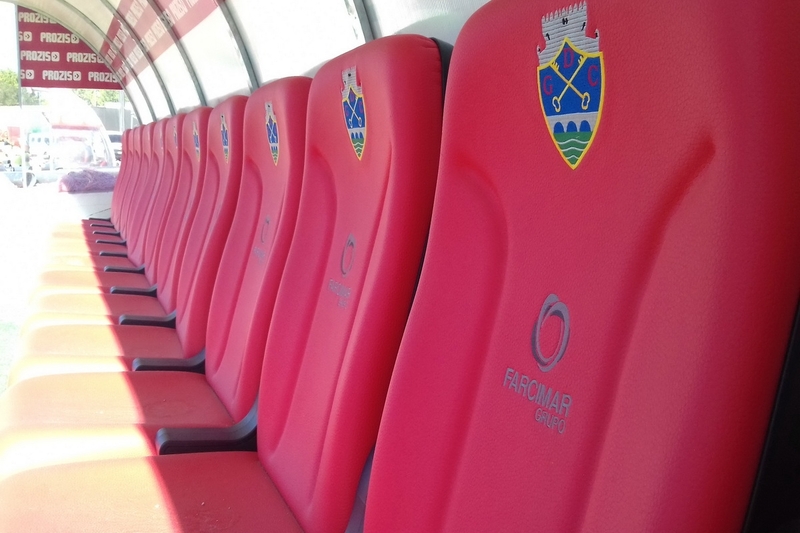 This project demonstrate the versatility of Farcimar’s Grandstand Solutions, as well as our execution capacity, with tight deadlines, that lead to the achievement of allowing Chave’s first home game of the season to be made using this grandstand. All the works were done allowing the Club a total control of the project, allowing adaptatations along the execution, to meet the club necessities.